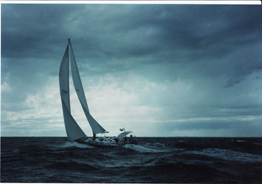 Sailing yacht "Confrontation" a Tayana T52 built in 1989 has successfully completed the ARC 2007 she then cruised northwards up the Caribbean, on to the Bahamas and then finally up the Eastern seaboard of the United States to Annapolis where she is now for sale. 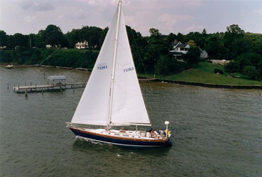 This yacht has been lovingly cared for by her owner and is in remarkable condition, with pristine looks and showing very little signs of wear. Whilst on the arc she performed well and completed the journey well in advance of other larger, big named yachts in her class. The journey was uneventful with only a minor issue later on in the crossing thus ensuring a safe crossing for her skipper and crew. This yacht is a perfect example of how the quality of the Tayana build stands the test of time, not just in appearance but in performance and the ability to cope with long passages. 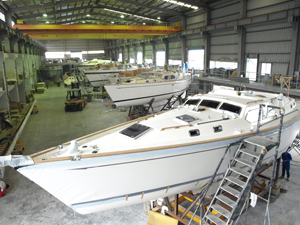 The production of Tayana Yachts for 2008 has all but been sold, leaving few options available for prospective clients who wish to purchase and hopefully take delivery in 2008. Along with this due to the international increase in costs of raw materials and energy prices, Tayana are unable to hold their manufacturing costs at the current levels. This will mean that on all orders as from July 2008 there will be a price rise, this is likely to be in the region of 3.5%. 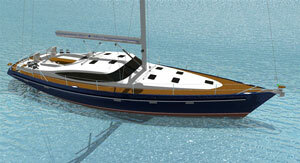 As soon as we have confirmation we will post the revised prices on our website across the range of yachts. 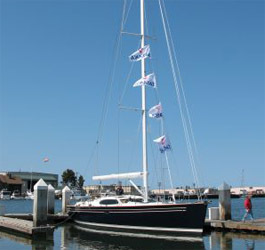 It is proposed that the Tayana T58 currently in the UK will sail across the Atlantic in November 2008. 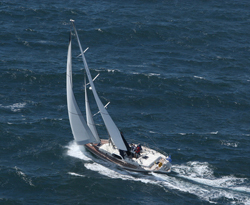 After a season in the Caribbean, Bahamas/Florida, a planned return via Bermuda, the Azores and Portugal, during May 2009 will complete her Atlantic circuit. It was proposed that she would sail in the ARC but as the ARC 2008 is full and there is a long waiting list, it is most likely that she will undertake the crossing on her own, approximately at the same time as the ARC. We will update the news page to reflect the progress in the coming months. The yacht is already turning heads as she comes with an exceptionally high specification as standard so the only real choices left for the clients are that of sail plan and navigation equipment. There are a number of boat shows due on the west coast locally so it may be that you may be able to see her there. The T58 Southampton Boat Show Vessel (which is now for sale, see yachts for sale) is the first yacht in the T55/58 class to have the redesigned coach roof, which gives the vessel a more European feel and sleeker lines than is older "flat cap" counterpart.The yacht, which was reviewed by Yachting World (Dec issue) and equipped herself admirably and the level of internal woodwork and solid wood finishes did not go unnoticed. The Tayana T64 is currently having a new coach roof to incorporate smoother lines and a swept back roof from the front deck saloon windows to the aft helming station. 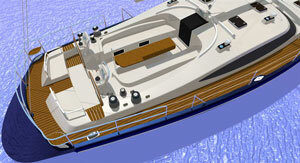 The helming area will incorporate twin wheels in a redesigned station aft of the cockpit with all winches to hand so short handed sailing can be achieved. The first new T64 is currently in production. Lemac Marine and Tayana Yachts would like to confirm that although Tayana Yachts are distributed worldwide all yachts supplied through the UK and European distribution network are fully certified to category 'A Ocean' standards and individual certificates for each yacht are provided with the vessel as part of the vessels papers.